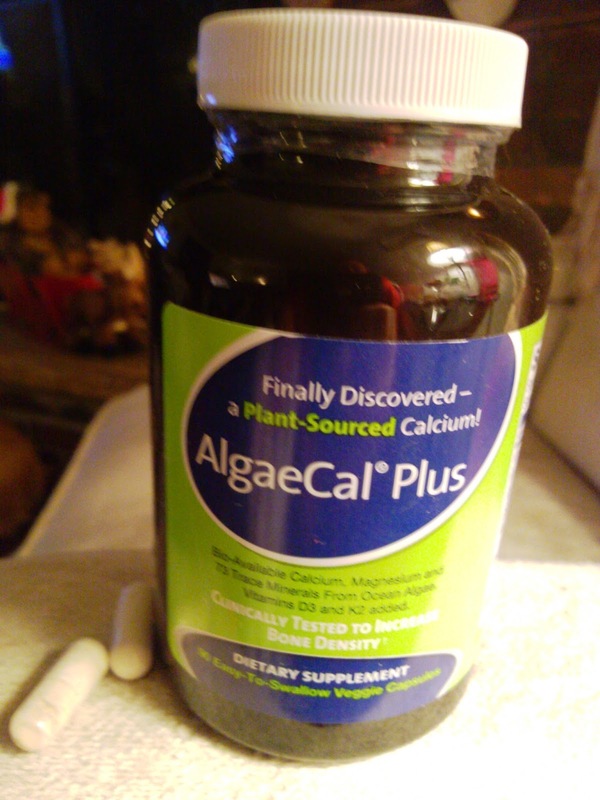 AlgaeCal Plus is a plant-sourced calcium and mineral complex made from wild, hand-harvested South American marine algae called Algas Calcareas. Plant calcium is said to be easier to absorb and digest without causing constipation, bloating, or gas so it's a good choice for anyone wanting a calcium supplement that's easy on the digestive system. AlgaeCal Plus contains all natural and USDA organic ingredients, including Calcium, Vitamin D3, Vitamin K2, Vitamin C, Magnesium, Boron, and 73 trace minerals that help strengthen and restore bones. AlgaeCal Plus is clinically proven to increase bone density, so it is targeted toward men and women age 45 and older who want to prevent or treat osteoperosis or recover from fractures. But it works for any age to build strong and healthy bones, so I am really happy to be supplementing with this product. I am positive I don't get nearly enough calcium in my diet, so it's important to keep my bones healthy especially as the years creep up on me. This bottle contains 90 veggie capsules that are easy to swallow. Directions state to take 2 capsules in the morning and 2 at night with meals. This does get to be cumbersome for me and I end up only taking 2 per day with a meal, so I wish there was a way to make the dosage easier for a busy (or forgetful!) person. What I didn't realize is that most calcium supplements are made from rocks, so AlgaeCal Plus is very unique compared to most calcium products. It is also apparently one of the few supplements to actually increase bone density. It's hard for me to really know whether my bone density has been increased without an x-ray, but I'm happy knowing that I'm doing something good for my bones. As a woman, I am more prone to osteoperosis so anything I can do to prevent it is great in my book. As for the supplement itself, I have not had any bloating, constipation, or gas and in fact I haven't noticed any negative side effects from taking this supplement. I do suggest taking with a meal as the directions state, because it doesn't sit well on an empty stomach. Overall, AlgaeCal Plus is a unique calcium supplement that is easy to digest and helps increase bone density for people of all ages. Aside from the hassle of taking 4 capsules a day, this product works well for me.